This autumn moth the Merveille du Jour is one of my favourites. Its name derives from the French meaning Wonder of the Day. The adult moth flies in September and October and often feeds on ivy flowers and fallen fruit. Its distinct colours and patterning enable it to lie hidden during the day on lichen covered trees. The caterpillars feed in the spring on newly emerged oak tree flowers. 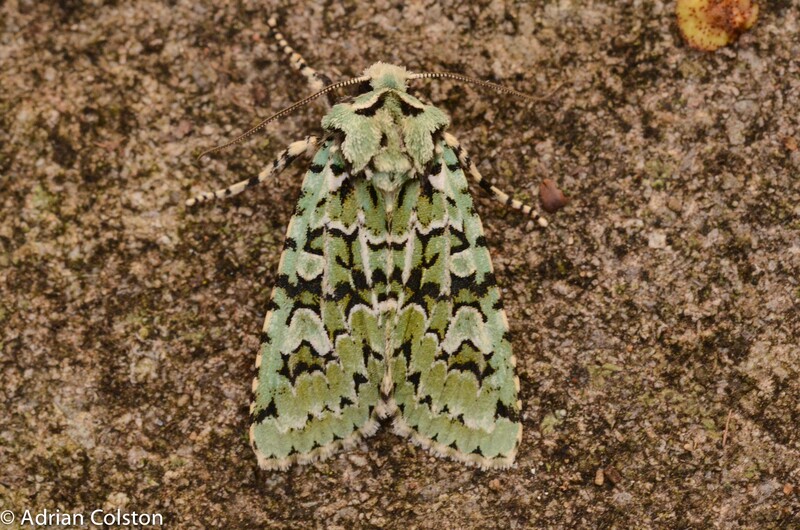 This entry was posted in Moths and tagged Merveille du jour. Bookmark the permalink.